I hate it when I’m going through my week old emails only to realise I missed something like this so I wanted to send you an email updating you on what’s going on. 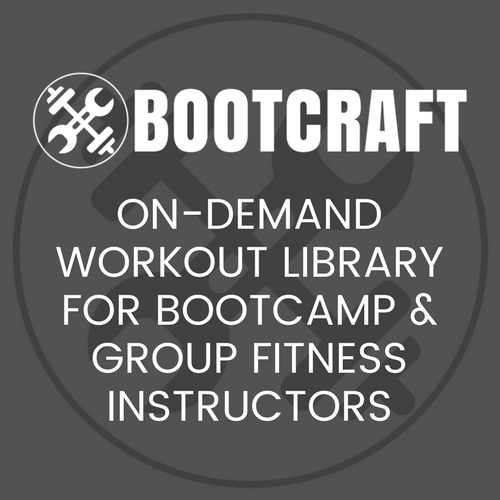 A few weeks ago I teamed up with the Melnicenko’s (UniqueBootcampWorkouts.com) with the idea of bringing you something to make you awesome. We wanted to create a bundle of manuals and resources that would really light a fire under you and get you excited and inspired. About 36 ours ago we unleashed… The Mother-Ship. First of all, I am continually amazed at your generosity and business savvy. The way you operate in your business is such a testament to all you that you say to us in your training groups: to care authentically, offer a good product, and be as generous as possible, and it will come back to you. Needless to say, I am super-stoked about my purchase of the bootcamp bundle. “I purchased the Mother Ship 24hrs ago and it’s looking like the best $99 I’ve ever spent. We’re really happy we could put this on for you. But I’m also serious that on Saturday morning at 6am (PST) I’m going to shut it down and this bundle will be gone for ever. I’ll send you another reminder tomorrow, but you should probably just get it now while you are thinking of it. Find out more and get your Bootcamp Bundle here.